On July 1, 2008 I was traveling to my Doctor's office for an MRI on my broken foot. It was 45 minutes away from my home in Wilmington, Ohio. I was on the highway, over 3/4 of way there, when the traffic ahead of me started slowing down. I could not see what was going on in front of me due to a large vehicle in front of my car. As we inched along, I began to see smoke rising up in the air straight ahead. Cars were turning around in a driveway to my left and going back the other way. After the big vehicle right in front of me also turned, I saw why there was a slow down. Wow. I ask you to consider how you perceive your God? As I look at the above verse it remind sme of just how loving our creator is, and how he moves with compassion towards his people. 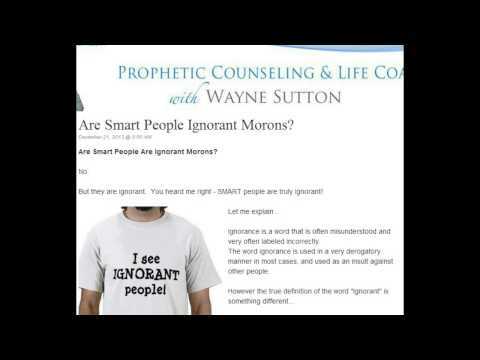 Are Smart People Ignorant Morons? Are Smart People Are Ignorant Morons? But they are ignorant. You heard me right – SMART people are truly ignorant! Ignorance is a word that is often misunderstood and very often labeled incorrectly. The word ignorance is used in a very derogatory manner in most cases, and used as an insult against other people. Here Are 2 Methods To Help Christians Hear God?s Voice? “My sheep will hear my voice…” – Jesus. This should be a pretty simple article – Jesus speaks and we listen. Simple enough, right? However, learning to hear the voice of God is usually more than “just listen”. Now, let me begin with saying that I grew up in a pentecostal tongue-talking church where the voice of God and his leading held power and respect. However, I found that too many times we were sitting in church “waiting” for Holy Spirit to speak through a word of interpretation (which is awesome), and therefore we often ignored all of the other ways that God was speaking. I am so excited to release this prophetic word to you because I believe you are reading it in a divine appointment and timing. This is not a mere word, as you read it the Holy Spirit will fall on you wherever you are and you will have a life changing encounter with the spirit of revelation and power in Jesus name! This is by far one of my favorite all time videos. This reminds me of a time in my life where I asked God to help see others through His eyes. This was definitely a life changing experience for me. I wasn’t so sure what I was going to expect but for a period of time, I would ask the Lord to help see certain people the way He sees them. Just like this video, you can’t judge people on the outside. One of my pet sayings is… everyone has a story. In other words, everyone has some issue, past or present that may be affecting them and be causing them to act they way they are. 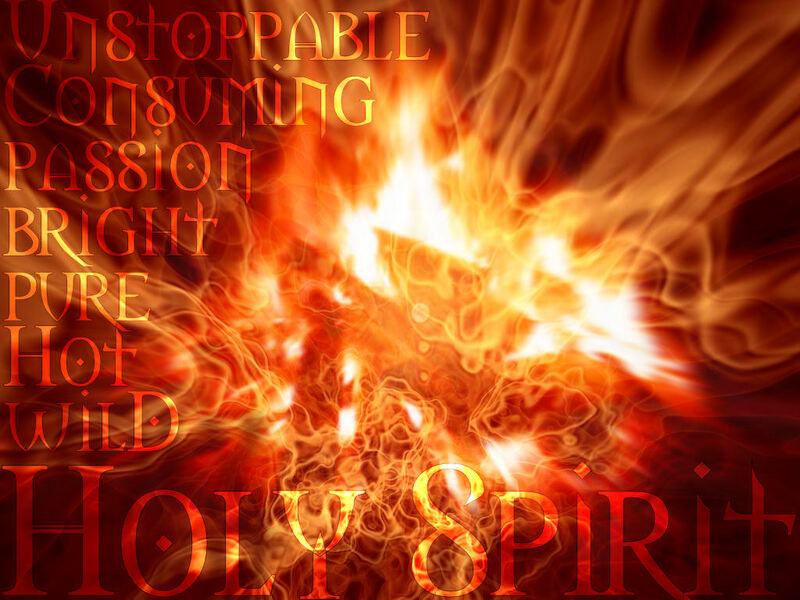 Holy Spirit Is Our Teacher! Now that we know God and Jesus want to release Their knowledge direct to us from Their throne room in heaven – how is this knowledge actually transmitted to us? This will now bring us into the next set of Scripture verses. These next three verses will tell us that this knowledge is given to the Holy Spirit – and then the Holy Spirit, who is already living on the inside of us, will be the one to transmit all of this knowledge to us! The Holy Spirit will thus become your personal guide and personal teacher in this life. It will be His job to impart and transmit all of this knowledge direct to you once you start to seek after it.